Welcome to Splash Water Delivery, family owned and operated by Dime Oil Company in Waterbury, CT. We deliver fresh, clean water for your Pool, Spa, or even smaller "pop up" pool. 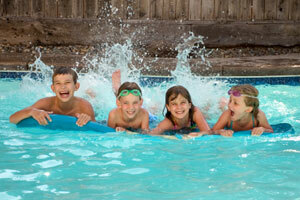 We service the smallest of spas to the largest of in-ground swimming pools. Check out our quick reference chart to help you better estimate how much water you will need. 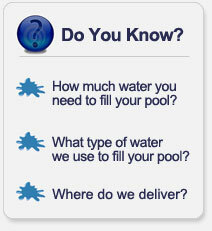 Splash Water Delivery provides clear water obtained from our local municipal water supply direct to your pool. Our friendly staff is here to assist you 7 days a week in scheduling your order. We accept all major credit cards, cash, checks, and money orders. 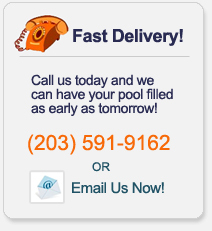 Call us today; you’ll be “Splashing” around in your pool by tomorrow! The kids are ready... is your pool?